A cataract forms when the natural lens inside your eye becomes cloudy. This cloudiness can sometimes initially be corrected by glasses but as it progresses, the only way to improve your vision is to have the cataract removed. Removal of cataracts requires an operation as a day procedure. This is normally performed with you heavily sedated and eye anaesthetized or “numbed”. The natural lens in your eye is removed through tiny incisions less than 2mm wide. These are generally so small they don’t even need stitches. A new clear artificial intraocular lens (called an IOL) will be inserted to replace the cataract. The procedure takes around 30 minutes. The surgery is not simple, but it is routine for an experienced ophthalmologist. Nobody wants to be awake when they are having a cataract operation. You will be under heavy twilight sedation. You will be sleeping soundly throughout your operation. Ideally you will only remember meeting the anaesthetist and then waking up in recovery. You should have no recollection of your operation whatsoever. The development of a cataract is a natural part of aging. It certainly doesn’t mean you are old, some people develop cataracts when they are quite young. They can also be associated with trauma or diabetes. By 60 years of age 50% of people will have some degree of cataract, even if they perfectly healthy eyes. A large amount or research has been focused on reducing the effects of cataracts with vitamins and anti-oxidant tablets. These have been shown not to help cataracts but they may be beneficial in some other conditions such as macular degeneration. The artificial lens that is inserted in to your eye is made from an acrylic material. It should last thousands of years! Before your operation, Dr Cronin will perform highly accurate and detailed measurements of your eye. These measurements are used to determine the optimum strength of lens to put into your eye. There are many different options for how this lens will correct your vision, but with the most advanced premium intraocular lenses it can be possible to incorporate the script in your glasses into the lens that is inserted in the eye. Dr Cronin will discuss the various options for IOL selection with you at your consultation. The video below explains some of the options. If you are uninsured, the total out-of-pocket fee to have your operation done privately will be $2250.00 per eye for a monofocal non-toric lens. This price includes the anaesthetist, surgeon fee and hospital fees. The surgery will be performed at the South Bank Day Hospital. This price does not include your initial consultation or prescription costs for post-op medications. In addition to the explanatory video below, Dr Cronin has some youtube videos demonstrating cataract surgery - Cataract Surgery - Toric intraocular lenses. Cataracts Explained - Dr Brendan Cronin from Brendan Cronin on Vimeo. 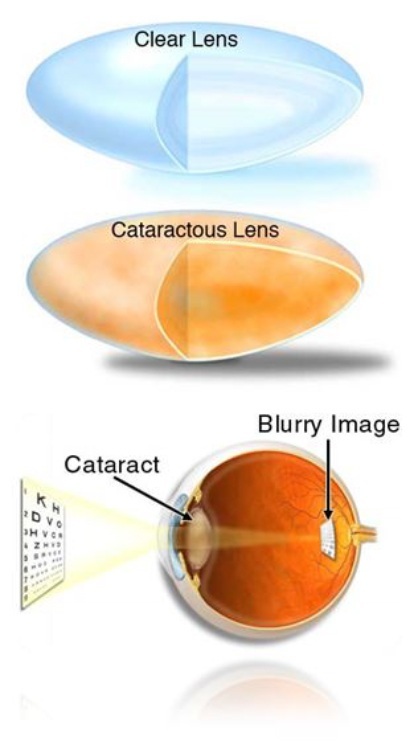 An explanation of what a cataract is and how they are treated.